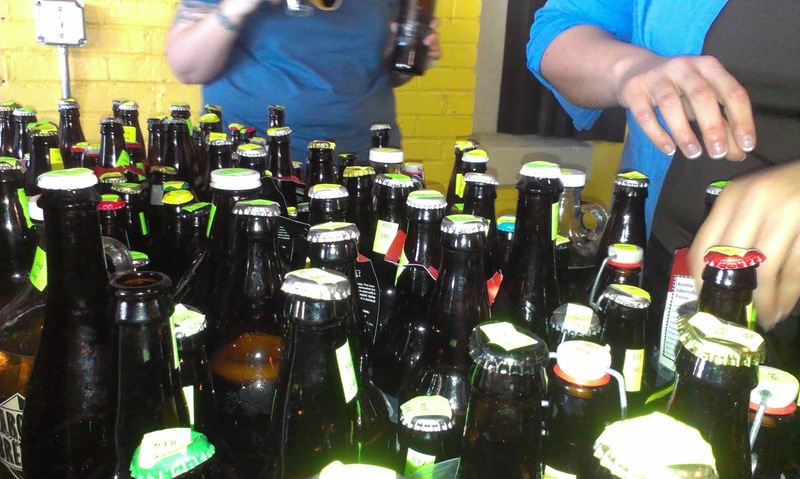 I got the opportunity to be a judge for the North Carolina Brewers' Cup last Sunday. Beer, beer and more beer became my close and personal friends over the course of 4 hours. The North Carolina Brewers’ Cup is a not-for-profit organization only a little more than a year old (formed in 2012) and their main goals are to promote the craft beer industry in North Carolina, providing opportunities to further members brewing knowledge and to educate the public about the varieties of craft beer and homebrew. 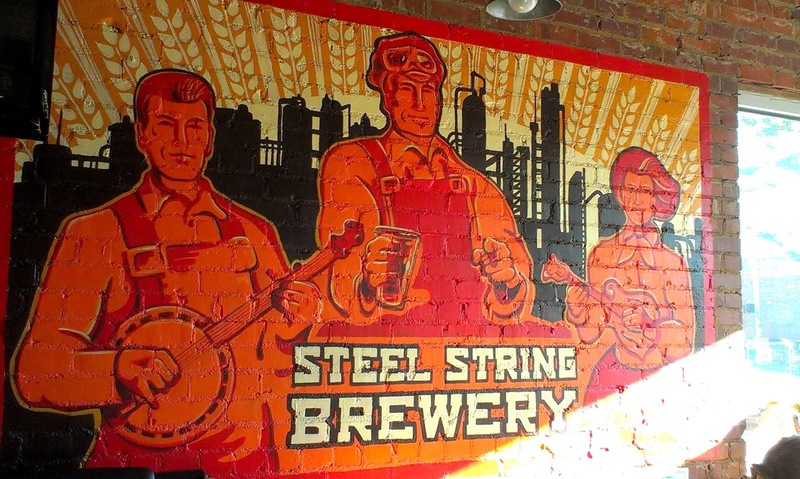 This year's judging took place at Steel String Brewery in Carrboro, NC (106 S. Greensboro Street). Never heard of it? Me either. They've only been open 4 months and the space was previously occupied by an antique shop. Judges were asked to be at the brewery at an eye-opening 8:30 AM. With the promise of beer and a mid-day lunch provided by Carolina Brewery, I was bright-eyed with no bushy tail that Sunday morning. I worshiped at the Church of Barley & Hops this day. Making the conscious decision to miss CBS Sunday Morning (and church) was one of the best I've ever made. When I walked in, I felt out of place. I wore a tank top with a guitar on it. EVERYONE else had on shirts with beer on them, almost ironically it seemed. 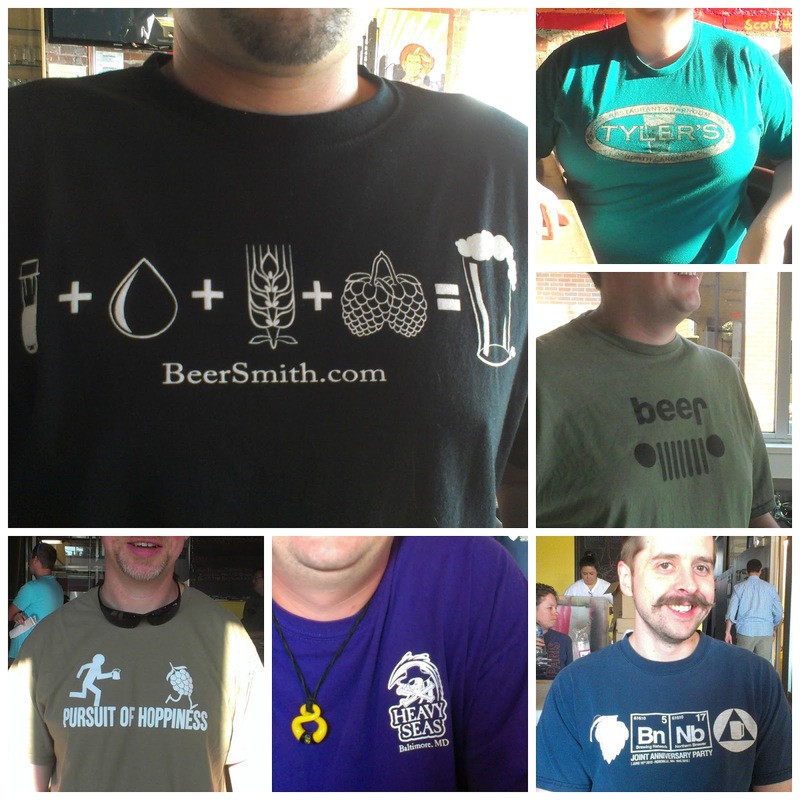 To show your commitment to being a beer aficionado, you MUST WEAR a shirt with beer on it. Right? There are over 20 categories and 115 subcategories of beer. 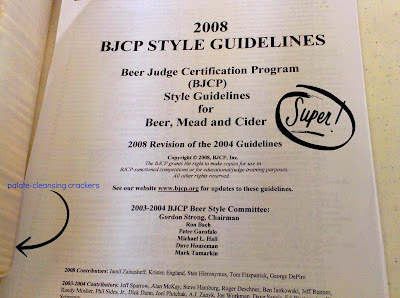 I am not a BCJP (Beer Judge Certification Program) member. I'd never judged beer before. I had nothing to worry about. THIS was at every place setting. Did you know: there's an app for that? Hell, yeah there is! It even has a color palate scale so you can be sure the color of the beer is acceptable. 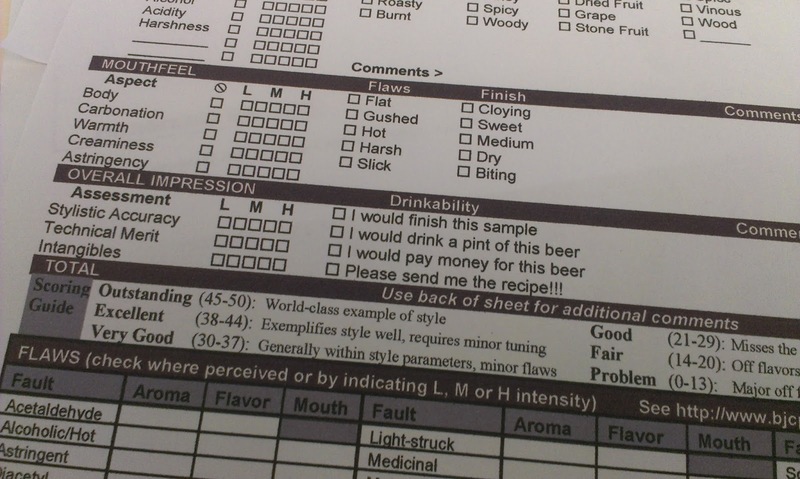 The gem below is a rubric that the officials of the Beer Judge Certification Program put in place to help you judge. 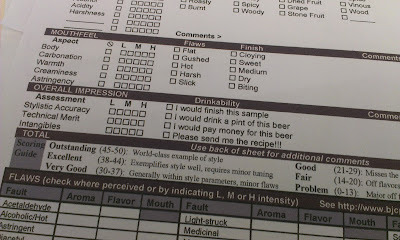 This sheet was used for the homebrew category and not the professional category. Why, you ask? 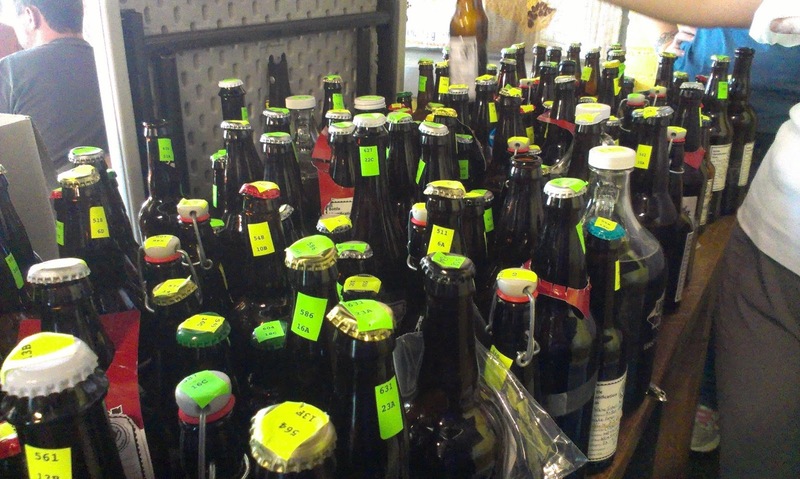 Well, the homebrewer's need and want very detailed descriptions about the flavor, mouthfeel, color, taste and aroma of the beer. The professional beers do not need this much detail. I judged Cream Ale, Blonde Ale, Kölsch, American Wheat/Rye and Weizen/Weissbier beer categories with my new friend, Jimmy (seen in the lower right corner of my beer t-shirt montage above) and BJCP member. 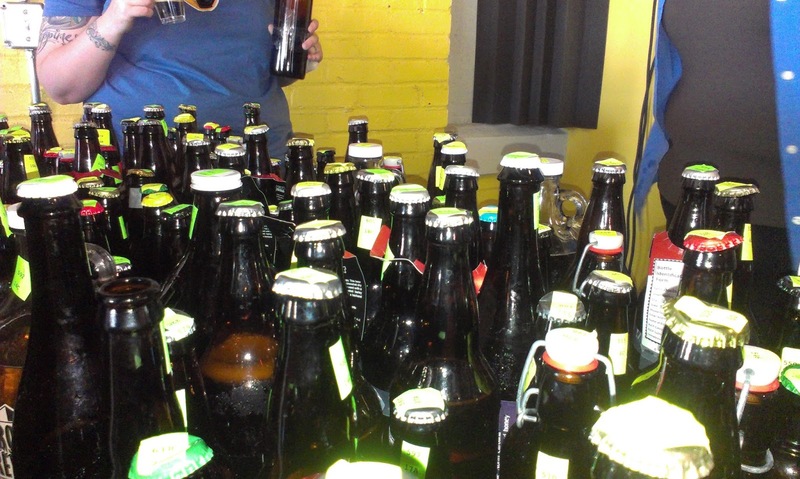 We judged 15 beers in all and only ONE entry in the Weizen/Weissbier category. 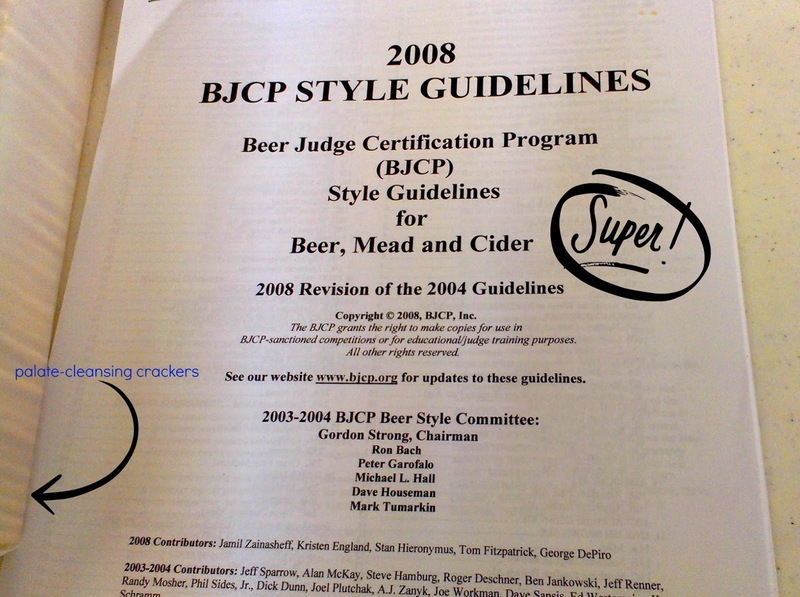 I learned a lot about myself as a beer drinker and as a judge. 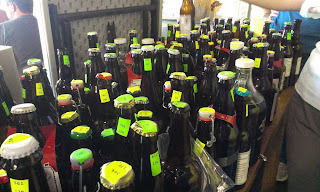 Over time, I know I'll be able to become a judge and I might even try to snag some equipment and do a little homebrew. I think the guys at Small Batch Beer Co.and Hoots Beer Co. would be proud of me. 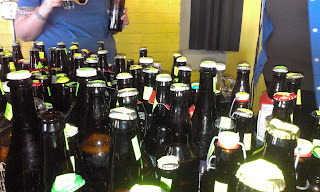 At the end of the day (which wrapped up before noon), we were allowed to sample other open beers that had already been judged AND take home unopened brews. If you see me anywhere in the next two weeks and I DON'T have a beer in my purse, it can't be me. It's my doppelganger.